Friedrich Kuhlau was the most cosmopolitan personality in Danish music at the beginning of the 19th century. A creative, forward-looking and extremely productive composer, he rarely let his pen lie idle. 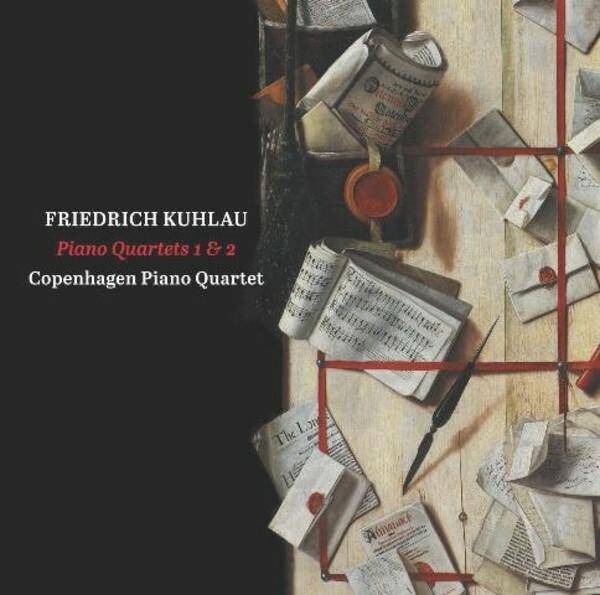 The two piano quartets recorded on this CD by the young Copenhagen Piano Quartet are major works from the composer�s most artistically fertile decade, besides testifying to Kuhlau�s own brilliance as a pianist. Copenhagen Piano Quartet is a young and rising piano quartet rooted in Denmark, Czech Republic and Poland, and consisting of Benedikte Damgaard (violin), Kristina Fialova (viola), Adam Stadnicki (cello) and Neel Bramsn�s Teilmann (piano). The quartet won the Val Tidone International Chamber Music Competition in Italy in 2013 and the Royal Danish Academy of Music's Chamber Music Competition in 2012, and was a prize winner in the Danish Radio�s Chamber Music Competition in 2014 and in the International Johannes Brahms Competition in Austria in 2012. The quartet was formed in 2010 and is currently studying as an ensemble in the soloist class of the Royal Danish Academy of Music under the guidance of chamber music professor Tim Frederiksen as well as pianist and docent Jens Elvekjaer (Trio con Brio). The quartet has performed widely around Denmark, and in Norway, Italy, Czech Republic and Germany.